Enjoying the sudden onslaught of January weather? 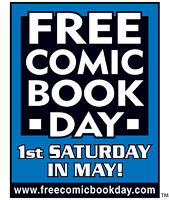 We are — by staying indoors and providing you with a hot batch of high-grade comics! Our first offering this week is a lovely example of Marvel Team-Up #65, a key issue with a host of notables, including the first US appearance and retold origin of Captain Britain, and the first appearances of Miss Locke and Arcade. Also available is a wonderful copy of Detective Comics #438, a square-bound, giant-size issue packed full of fan-favorite characters, an impressive creative team lineup, and a new 1970s Manhunter backup story to boot. What collection would be complete without these? Captain Britain and the Amazing Spider-Man co-star in this key issue, which also includes the first U.S. appearance and retold origin of Captain Britain, along with the first appearances of Arcade and Miss Locke! Chris Claremont writes, John Byrne and Dave Hunt illustrate the interior, and the cover features a great George Perez and Joe Sinnot action scene. CGC Certified Universal Grade in 9.2 condition with off-white to white pages. This giant-size, square-bound issue features a striking cover by Mike Kaluta, with 100 pages of interior work by Archie Goodwin, Walt Simonson, Jim Aparo, Gil Kane, Gardner Fox, Joe Kubert, and many other fantastic talents. The character lineup includes Batman in “A Monster Walks Wayne Manor”, Green Lantern, Zatara, The Atom, Robin, and Hawkman, along with the 1970s Manhunter in a new backup story as well! A great high-grade issue for your collection, this classic Stan Lee story has a cover by Marie Severin and Bill Everett and artwork by Everett and Jack Kirby. CGC Restored Grade in 4.5 condition with slight restoration and off-white to white pages. A very hard-to-find 1940s Golden Age comic, this giant-sized square bound issue begins the Hop Harrigan and the Sargon the Sorcerer stories, with twelve features in all, starring Green Lantern, Wonder Woman, the Flash, and Mutt and Jeff. Stories are written by Bill Finger, Gardner Fox, William Moulton Marston, and Jon L. Blummer, with art by Harry G. Peter, Sheldon Moldoff, Lou Ferstadt, and Harry Lampert, and a wonderful cover by Frank Harry.